Many people learning how to play a musical instrument for the first time begin with a music keyboard. Music keyboards are musical instruments that have depressible keys that are tuned to produce musical notes in specific frequencies. 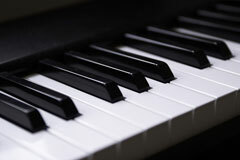 The most common types of musical keyboard include traditional grand pianos, upright pianos, and pipe organs, although digital pianos, electronic organs, and synthesizers are becoming more popular as well. The keys on a musical keyboard are arranged in octaves of twelve keys apiece. Each 12-key octave consists of seven white keys and five black keys. The traditional piano contains 88 keys; each manual on an electronic organ usually has 61 keys. Portable synthesizers often have 61 keys, and studio synthesizers normally have 76 or 88 keys. Traditional keyboards are known for their rich, full tones; they are also touch sensitive. This means that how hard you press the key will affect the sound. Traditional keyboard pianos include spinets, uprights, baby grands, and grands. 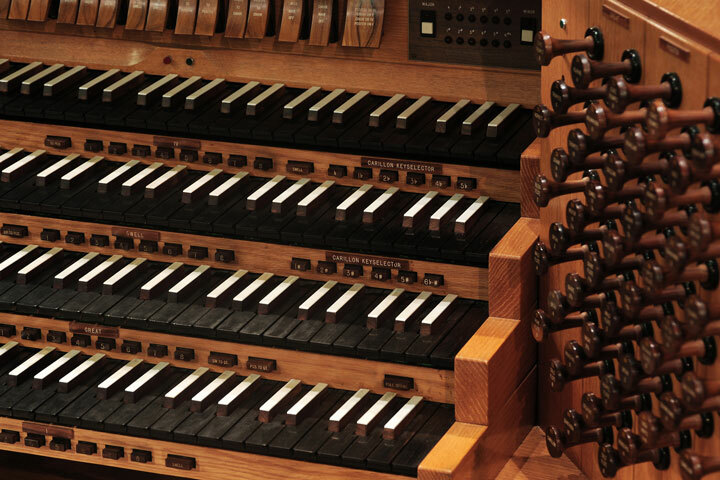 Most pianos and organs are quite large and heavy, and they are not very portable! A piano's weight is largely due to its cast iron plate, which anchors the piano strings under great tension. Perhaps the most famous music keyboard is the Steinway grand piano, the instrument of choice for most professional pianists. Steinway piano cases are available in several traditional and exotic wood finishes, with the veneers for each case carved from a single tree. 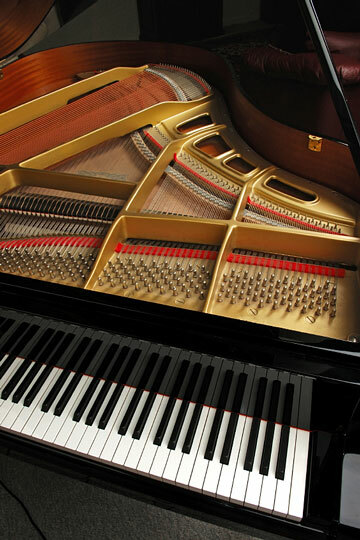 Steinway pianos are comprised of more than 12,000 parts; some of these parts help create the musical sounds while others alter the quality of these sounds. Digital pianos, synthesizers, and keyboard controllers use computer technology and usually feature MIDI interfaces, so they can be combined with digital sound modules and other digital instruments. They usually allow users to compose their own music, overlay voices, or record music to CDs. Digital music keyboards afford a bit of privacy, as they can be used with headphones, and many are very portable. MusicKeyboards.us features a directory of keyboard manufacturers and online musical instrument dealers plus a historical overview of keyboard instruments, tips for choosing a keyboard instrument, and an introduction to the Musical Instrument Digital Interface (MIDI). Freeth, N. (2007). Learn to Play the Piano and Keyboard . Bath, UK: Paragon. Wade-Matthews, M. and Thompson, W. (2004). The Encyclopedia of Music . New York: Barnes & Noble. Pinksterboer, H. (2004). Keyboard & Digital Piano . The Netherlands: The Tipbook Company. Shop for synthesizers, music workstations, pianos and organs, keyboard amps & accessories. Featured listing. Digital pianos, professional and hobbyist keyboards, and rack-mount instruments. 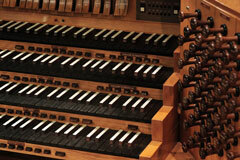 Find digital audio systems, sound modules, music keyboards, and samplers. Three decades of classic keyboard sounds. Developer of professional-grade electronic musical instruments, including keyboards and synth modules, pianos, organs, digital recording & mixing equipment, and accessories. Features music instruments and professional audio products. Acoustic pianos, digital pianos, and electronic musical instruments. Music workstations, samplers, analog modeling synths, combo organs, and accessories. Offers a good selection of affordable MIDI keyboards and digital pianos. MIDI (Musical Instrument Digital Interface) specifications, resources, and info.